I make these often and haven’t made them the same twice yet. We’ve tried different varieties and each of us have our own personal preferences as far as: cinnamon or salt, garlic or pepper, etc. 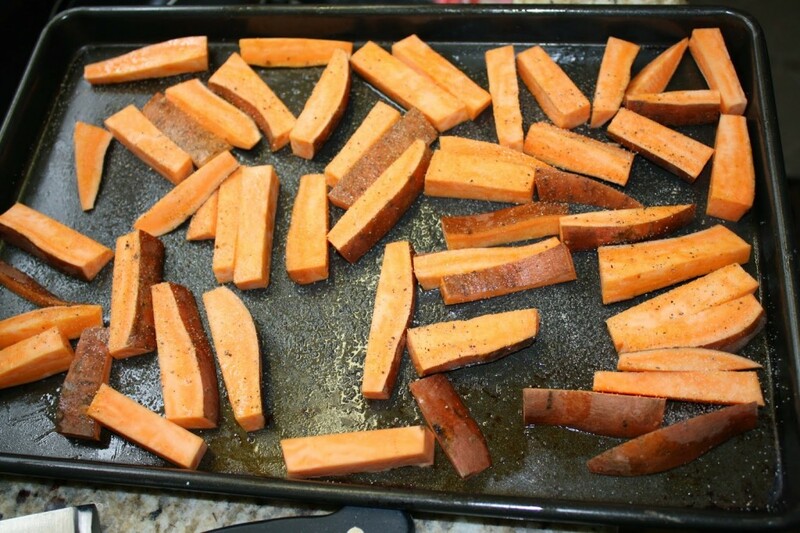 Wash several large sweet potatoes well. Cut into relatively small pieces- we’ve tried patties and fry like shapes and prefer the fry like shape best. 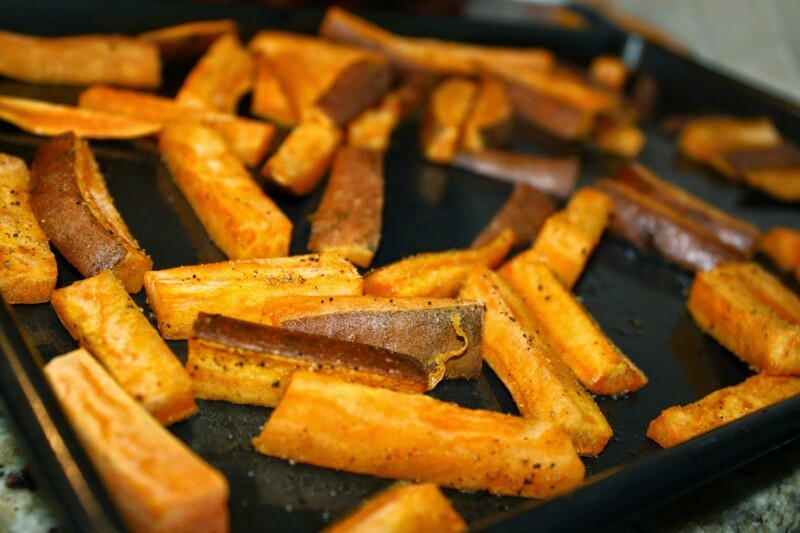 Drizzle with Extra Virgin Olive Oil and then use your hands to toss the potatoes until they are coated with the oil. Add seasonings of choice: I prefer garlic powder, onion powder, salt, and pepper. Roast at 375 for around 45 minutes. Seriously good, even for people like me that don’t normally like sweet potatoes. I served these with my Pork Tenderloin with Pan Gravy, Oven Baked Brown Rice, and Cabbage Steaks. SO GOOD! And all can be cooked at 375 degrees.